High-performance computing and freeD™ have sparked a revolution in sports media. Immersive viewing experiences, breakthrough athletic instruction, and transformative user-directed broadcast experiences are on the horizon. Indiana University is the first in higher ed to install freeD™ replay technology. HPC-powered replays treat fans to 360º highlights, and open a new era in coaching. IU students are the first to master the new technology. User-directed, immersive viewing experiences are on the way. What do you get when big data and high-performance computing team up with sports broadcasting? The answer: A media revolution, and Indiana University (IU) athletics is at ground zero. Now that freeD™ replay technology has been installed in Assembly Hall, IU’s historic basketball arena, fans are being treated to 360º, Matrix-style views of sports highlights. This new technology promises an immersive viewing experience and an exponential increase in athletic training information. Slam dunk. HPC-fueled 360º replays are taking the world of sports broadcasting by storm. Indiana University is the first university in the world to host freeD™ replay technology, and basketball fans are in for a treat. The first university to host the technology, IU netted the media innovation courtesy of entrepreneur and IU alumnus, Mark Cuban. Cuban donated $5 million to IU in June of 2015 to launch the Mark Cuban Center for Sports Media and Technology. Assembly Hall joins 14 professional stadiums worldwide with the technology; it will be installed in the neighboring football field, Memorial Stadium, over the summer. The magic starts with 28 ultra-high resolution cameras mounted around the court. These 5,000 pixel cameras stream data-rich video to an HPC cluster behind the scenes. Stitched together, these streams create a virtual camera, offering producers an unlimited set of perspectives from which to create replay highlights. The cameras are the eyes, but it’s the computational power at the heart that makes the magic happen. Forty servers supercharged with six-core Intel generation seven processors, 64 GB of RAM, and Nvidia GTX 980 graphic processing units bring the processing speed to about five teraFLOPS — that’s five trillion operations per second. At 3 GB of raw data per frame, and 12 GB per second, a full game would rack up ~55 TB — easily overwhelming most computer storage capacity. 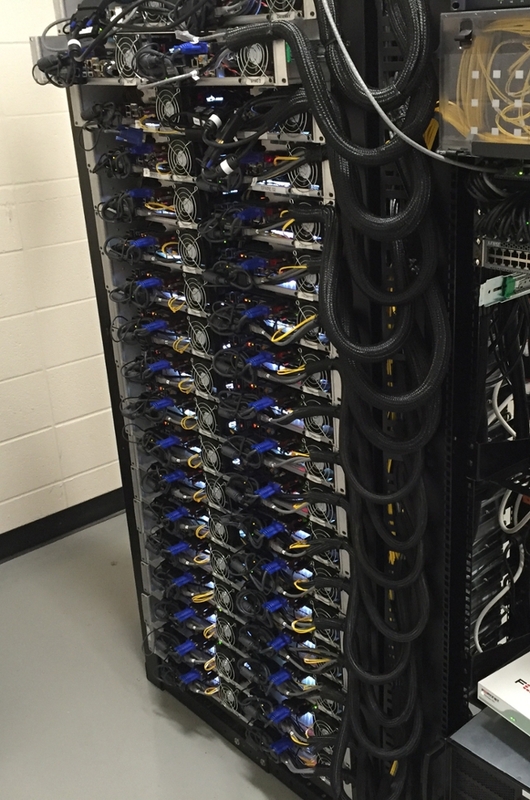 To accommodate this load, data is shared laterally among the 240 cores. Since ~ 30 seconds are grabbed at a time, only 8 TB is accumulated per game. How much data is that? If you were to stream a normal Netflix movie, it would take approximately 48 weeks of streaming without pause to accumulate the same amount of data. The media breakthrough promises to transform the fan experience: 360º views of slam dunks, homeruns, interceptions, stolen bases, and more. Intel's recent acquisition all but ensures large scale integration. But freeD™ technology is more than just fun and games. Using this HPC-powered technology, athletic trainers can view the field of play — and the players — from literally any angle, and provide instruction previously inaccessible. Perhaps the strongest advantage for IU — beyond the extraordinary fan experience and potential for athletic instruction — is the opportunity to train the video technicians of tomorrow. In partnership with Replay Technologies, IU has pioneered a course in this emerging technology. Eleven students recently completed the seminar, joining only four others in the world trained to operate the revolutionary replay technology. Imagine a completely photorealistic holographic conversation, or choosing your own view of a sporting event with 360º of freedom. Add in a virtual reality headset and you’ll be able to roam within a movie, concert, or sporting event. Horror and detective movies will never be the same. Beyond entertainment, Shapira muses, immersive media will enable families to reunite though thousands of miles apart. You’ll be able to take a Yoga class with classmates from around the world, creatively brainstorm with far-flung colleagues, or go shopping with friends without having to leave the house. With this potential on the horizon it’s easy to see why sports media is poised on the cusp of a revolution. 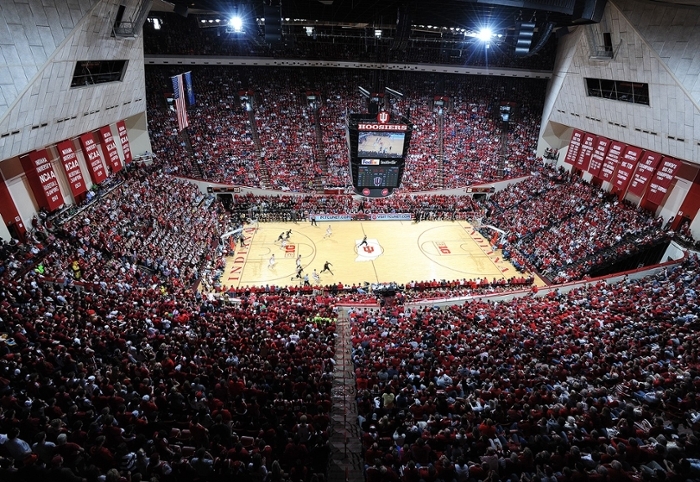 While you wait, sit back and watch IU basketball like you’ve never seen it before.